Smallest mist collector in the MistBuster family. Media version of the MistBuster, ideal for cast iron machining applications. Largest sized mist collector in the MistBuster family. Small media version of the MistBuster 500. Medium sized mist collector in the MistBuster family. Compact, efficient MistBuster air cleaner for machining applications. Economical operation. No throwaway air filters that reduce airflow as they clog up (most models). MistBuster’s low energy consumption is due to superior multi stage air cleaning technology that has low resistance to airflow. Variable speed controller allows for precise control of the airflow. Why draw excessive mist laden air out of the machine tool enclosure? 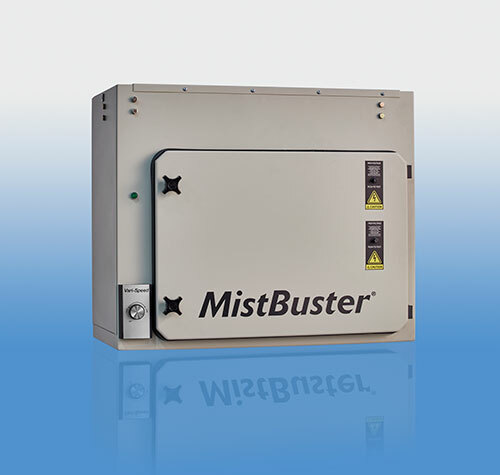 The MistBuster® is the best machine mount mist collector currently available in the market place that allows you to control the negative pressure within the machine tool enclosure. This feature saves energy, reduces maintenance, lowers sound levels and increases efficiency. Premium Blower. 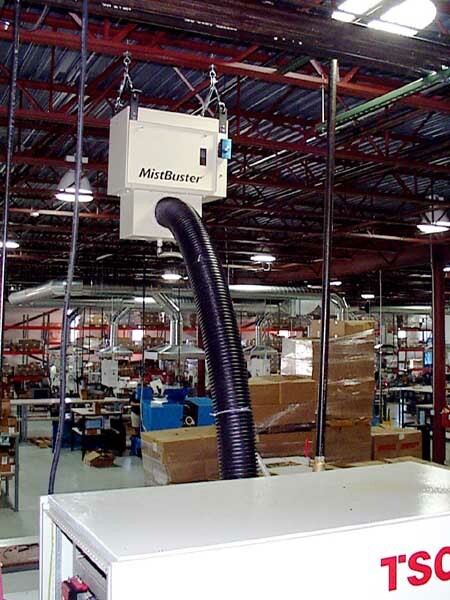 The MistBuster® series of compact air cleaners features a very high quality dynamically balanced motorized impeller. This impeller is more compact and energy efficient than conventional direct drive motors & blowers that are used in other systems and is dynamically balanced for smooth operation. This means no vibration is translated to your machine tool improving production quality and consistency. 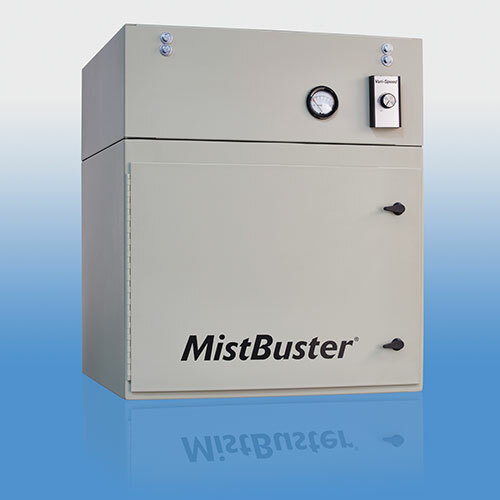 MistBuster® 500 can ship UPS, which significantly reduces shipping charges. Complete list of MistBuster features. Replacement parts for any MistBuster. 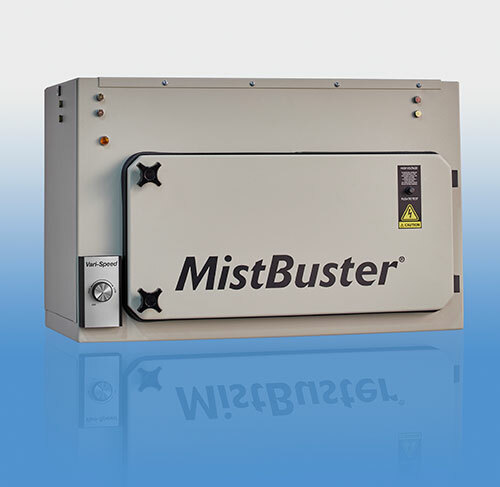 It is important to note that Air Quality Engineering offers a variety of technologies and equipment for oil, coolant mist and smoke removal, but we strongly recommend the MistBuster® 500 mist collector because we believe it is the best solution for air cleaner needs, not because it is the only solution we offer.